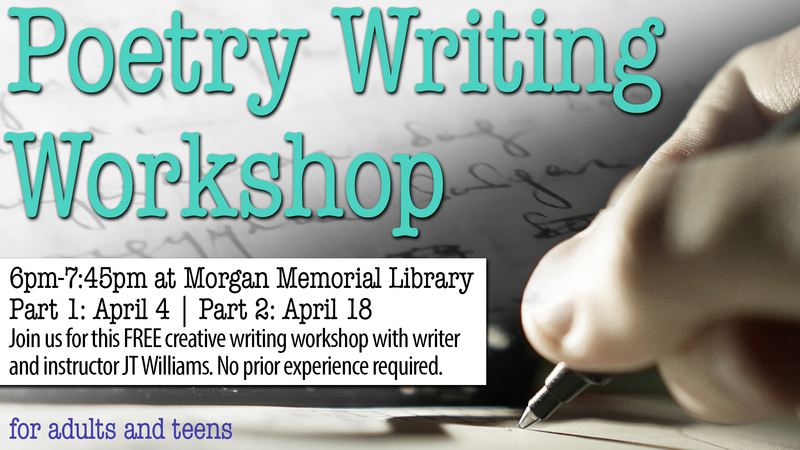 Join us for a FREE two part creative writing workshop with writer and instructor JT Williams in conjunction with our Tidewater Reads initiative. No prior writing experience required! First session is Wednesday April 4th. Second session is Wednesday April 18th.